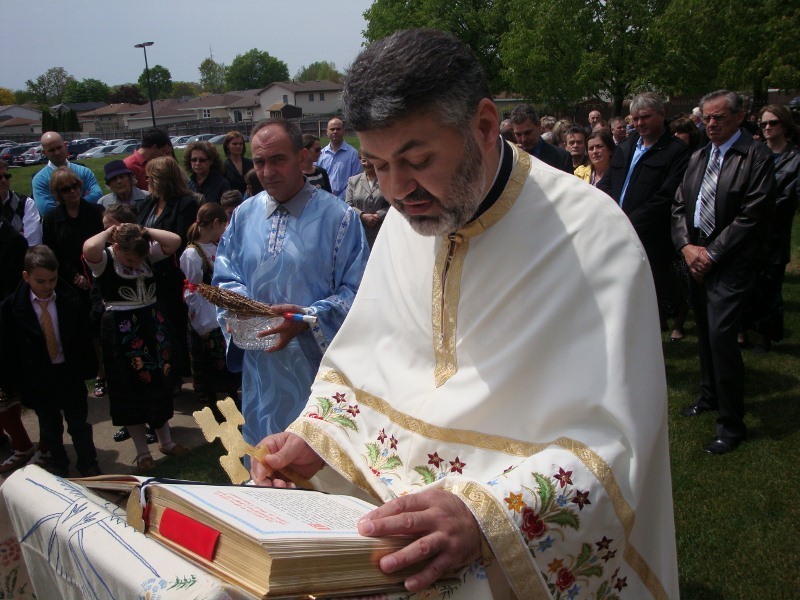 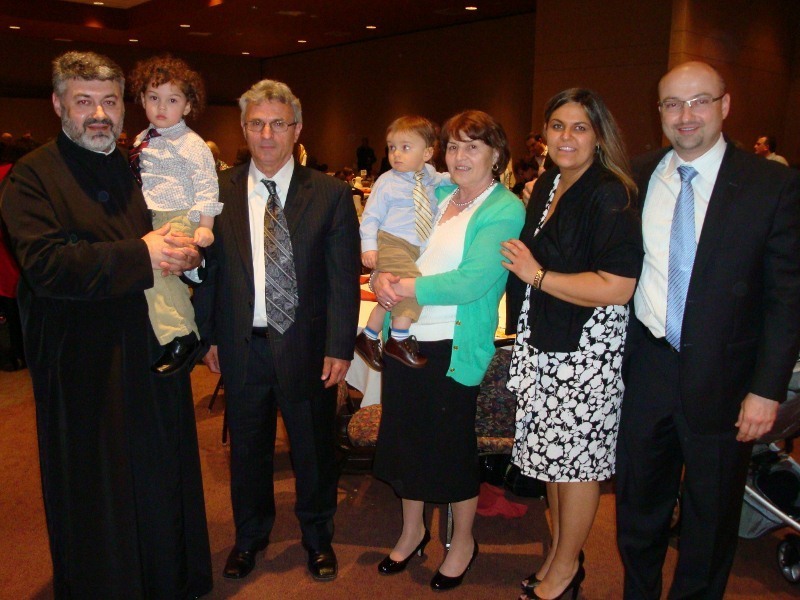 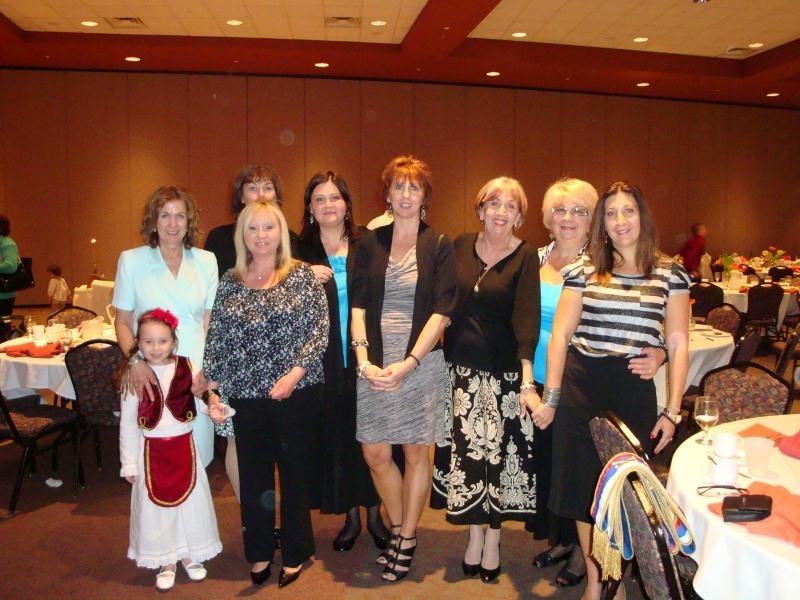 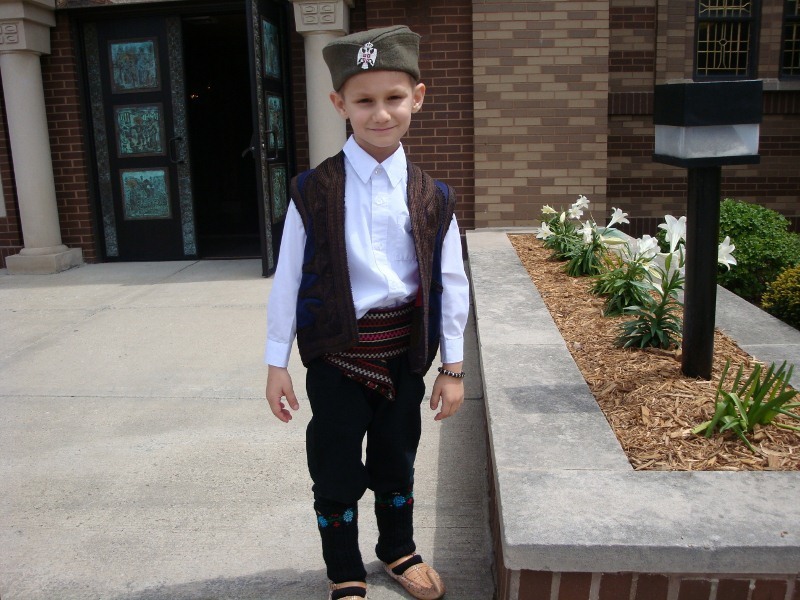 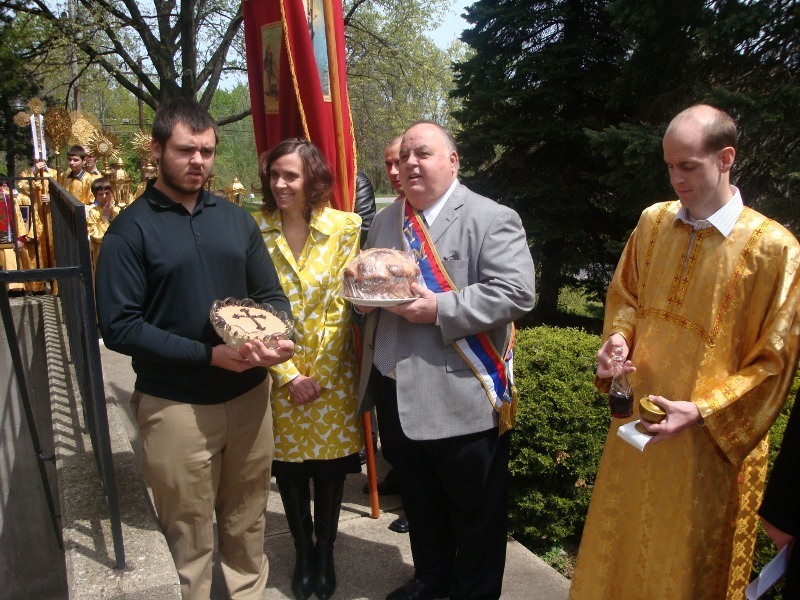 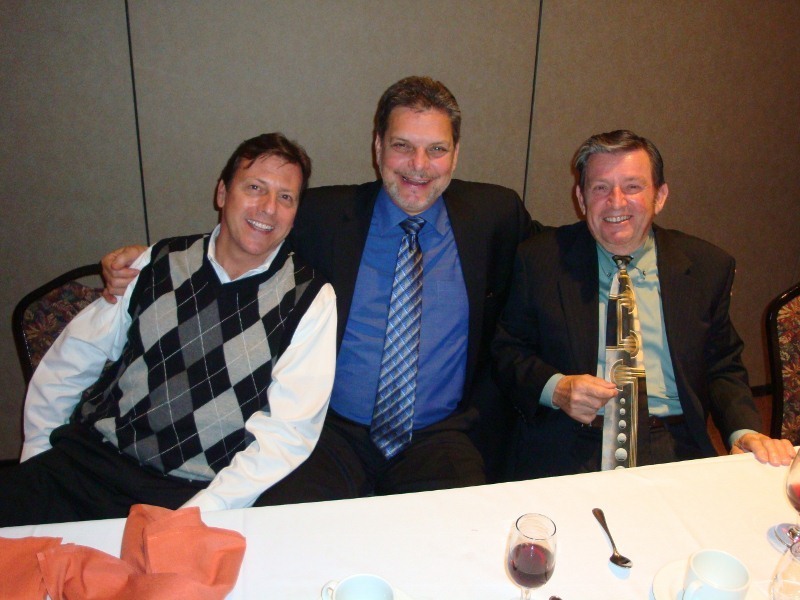 Schererville, IN – On the Sunday of the Myrrhbearers, April 29, 2012, St. George the Great and Victorious Martyr Serbian Orthodox Church in Schererville, Indiana celebrated its Patron Saint Day – Krsna Slava. 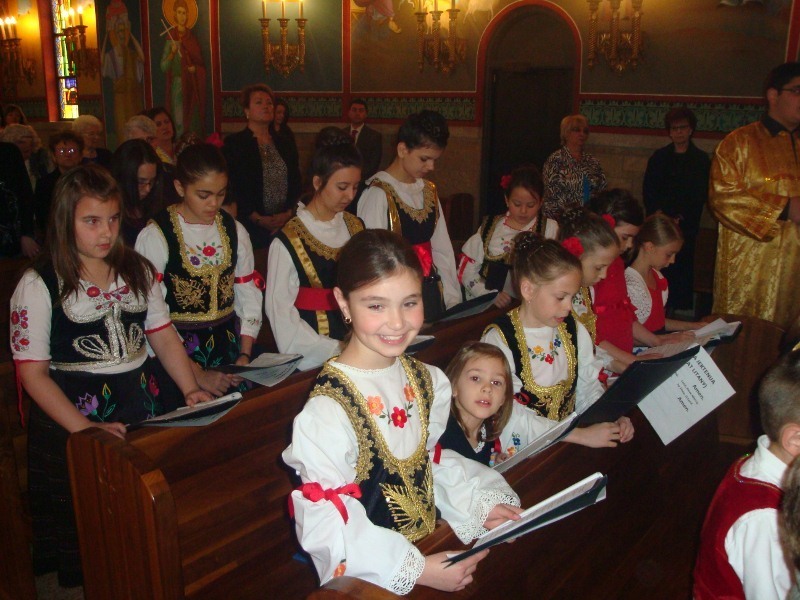 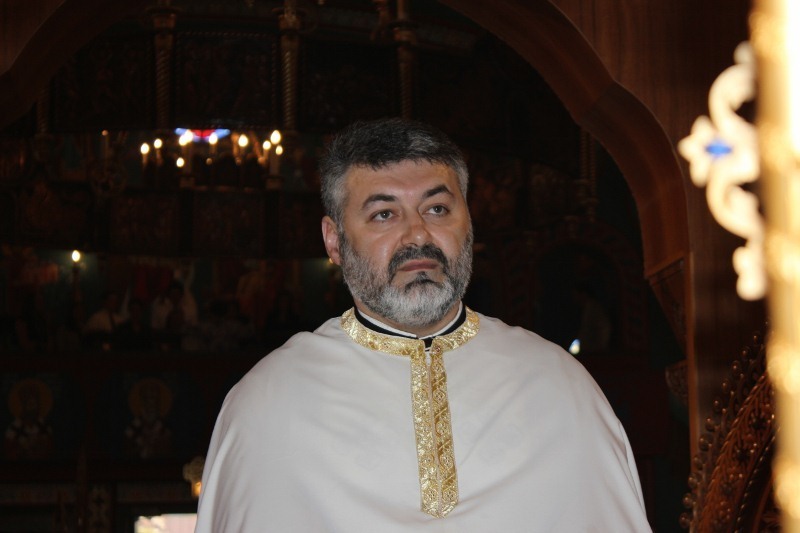 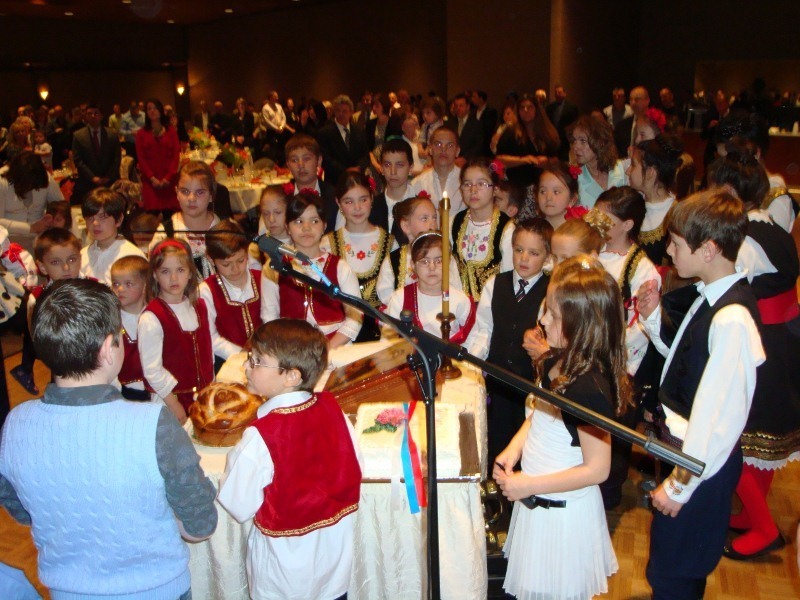 Divine Liturgy was celebrated by Prota Dobrivoje Milunovic, and the responses were beautifully sung by the Bishop Stefan Lastavica Choir and our St. George Children’s Choir. 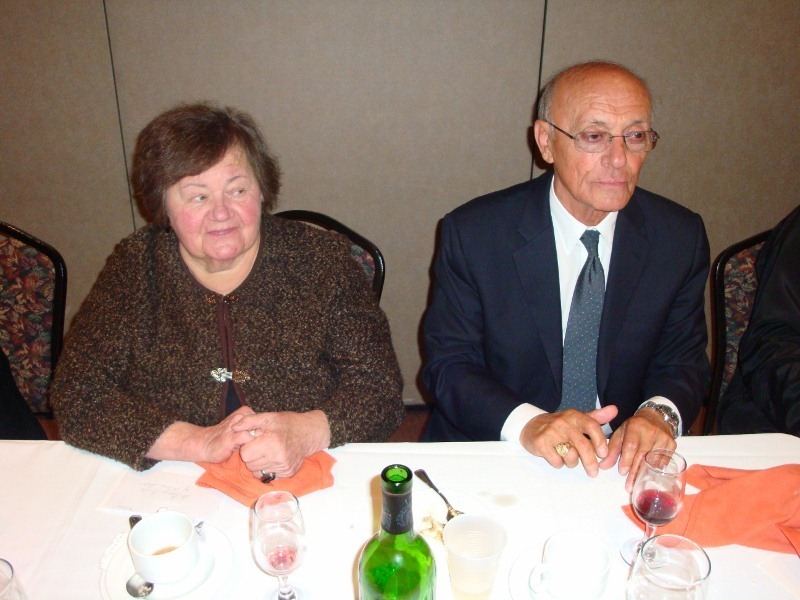 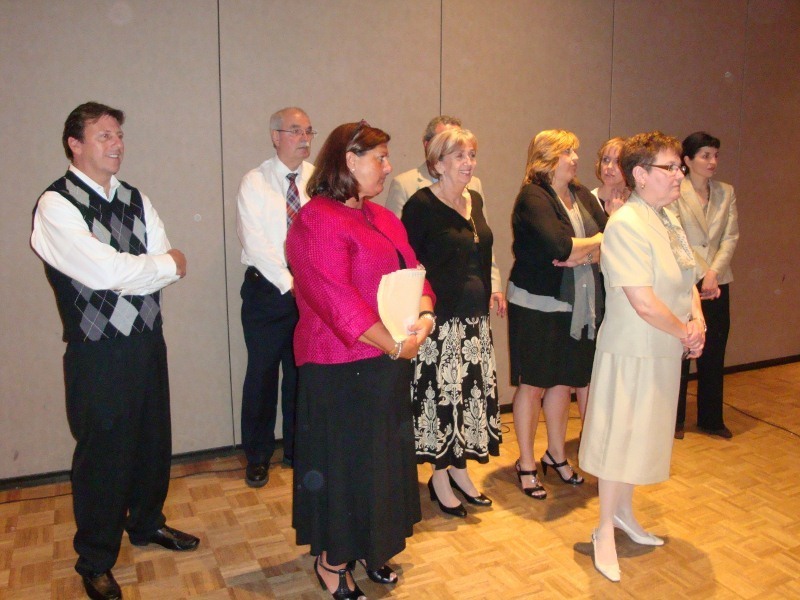 Kumovi for this year’s celebration were Mr. and Mrs. Milan and Melinda Radjenovich, our longtime active and honorable members. 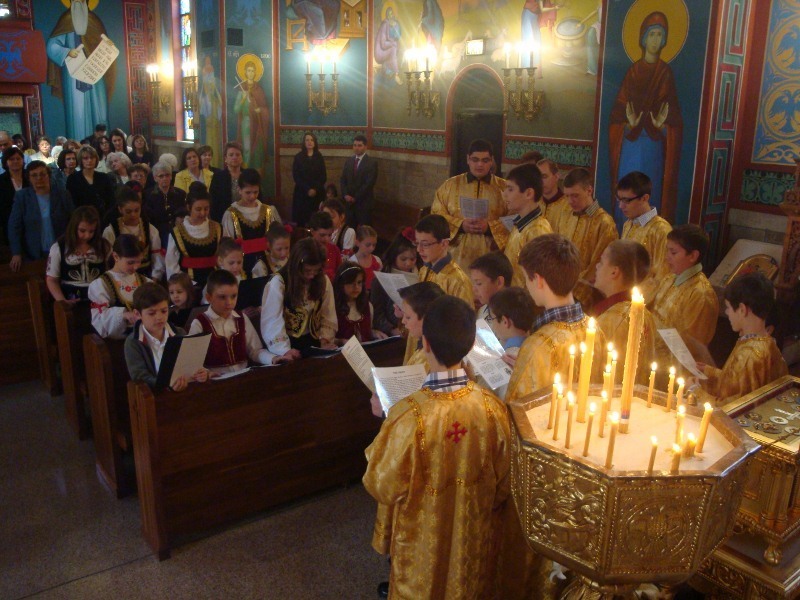 Having just celebrated the “feast of feasts”, the Resurrection of Christ, the holy house was packed on the Myrrhbearing Sunday with our faithful members and parishioners. 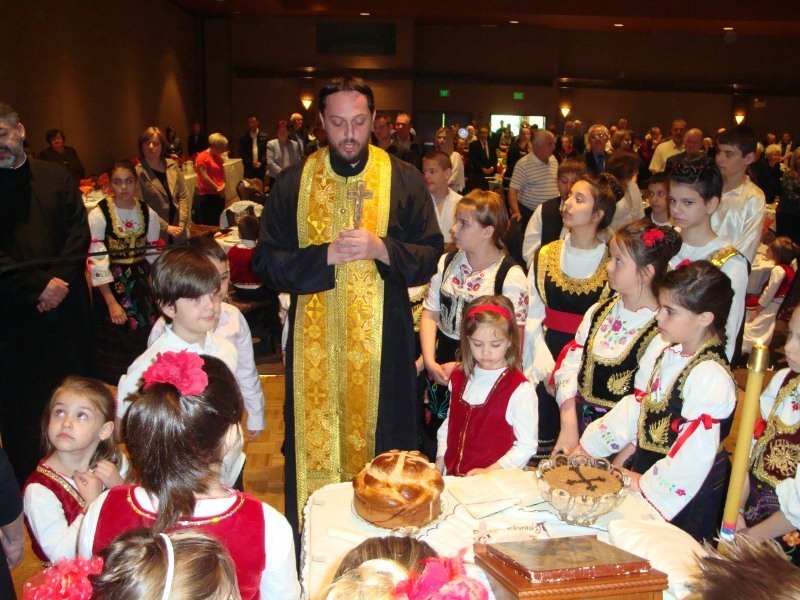 Prota Dobrivoje, so joyous and impressed by the attendance of our faithful, began his sermon by extending his gratitude to all. 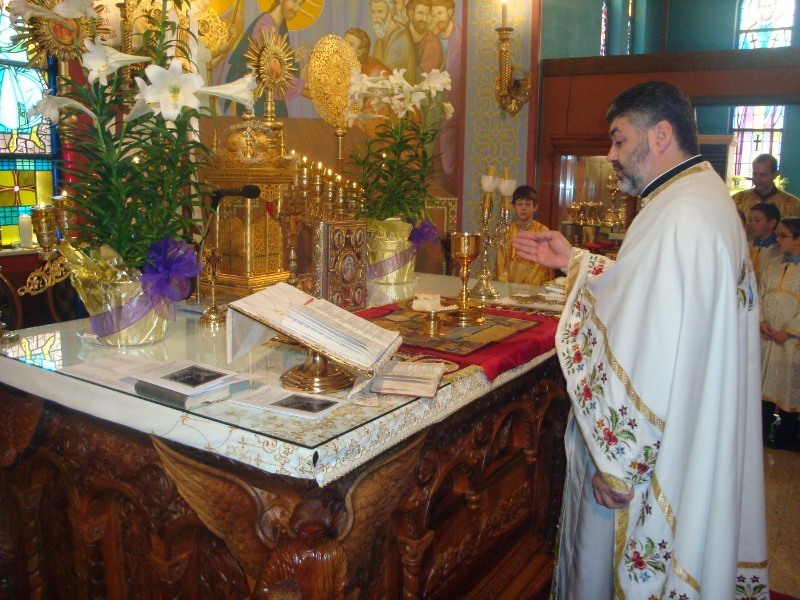 It was so wonderful to see the House of God filled with God-fearing, pious people as well as a most glorious Slava processional around the church. 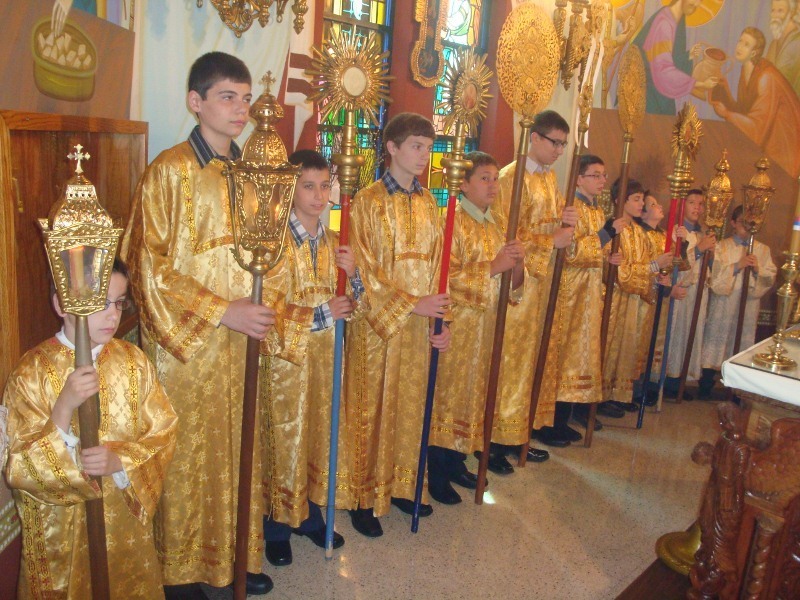 Everyone was impressed seeing so many of our children participate by singing, reading the Epistle, and serving as altar boys. 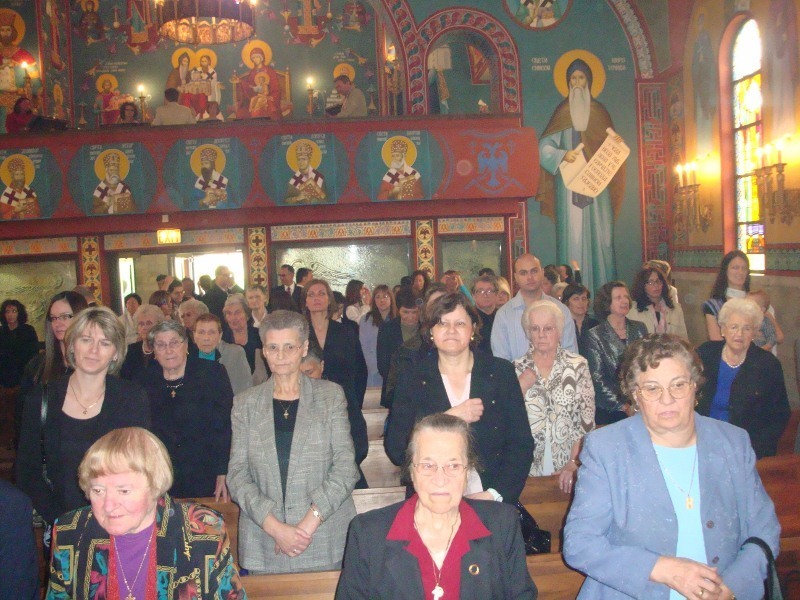 We also remember the founders and members of this parish and pray for their memory to be eternal as we are grateful for the sacrifices they made for our church. 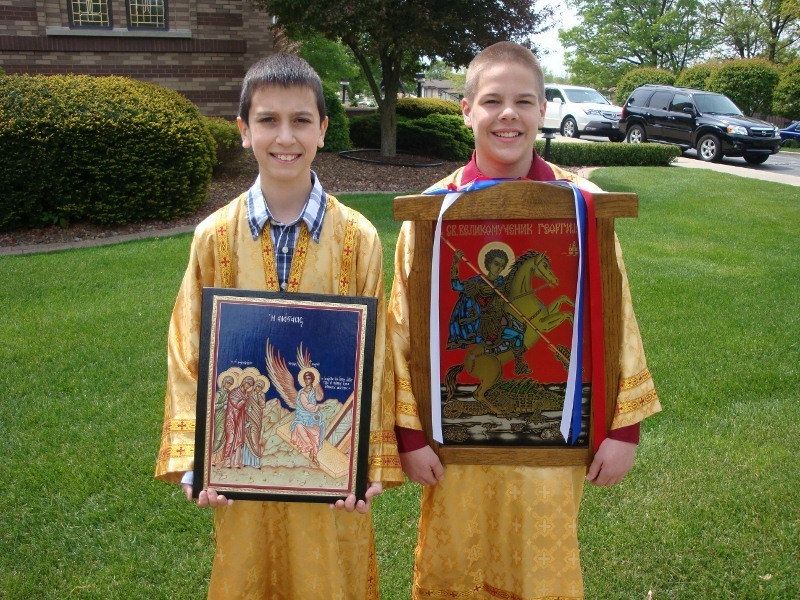 As our children mentioned in their introduction: St. George has been the protector of this parish for over 100 years and many generations have prayed to St. George and today we continue to pray: O Holy Great and Victorious Martyr George, pray to the Resurrected Lord for us, and give us unity here in Schererville for many more years!